Btw, It's a compromise between making the whole class final or just making one method final. Since making a class final takes out the power of inheritance, sometimes it's better just to make the sensitive method final instead of whole class. One good example of the final method is the template method pattern, in which the template method which outlines the algorithm purposefully makes final so that no one can change the steps of the algorithm but at the same time it's allowed client to define steps by extending the class and implementing the abstract method for individual steps. See when to make a method final in Java to learn more about how to use the final keyword with methods in Java. 4) When the final keyword is used with a variable then its value cannot be changed once assigned. Though this is a little bit tricky to understand especially when you make a reference variable final pointing to array or collection. What this exactly means is that a final reference variable cannot point to another object but internal state of the object can be changed i.e. you can add or remove elements from array or collection referenced by a final variable. This is also one of the tricky questions from Java interview and sometimes asked as to whether you can make an array or collection final in Java. Your answer should mention the fact that even though it syntactically allowed, you can still modify the collection. There is a difference in making a reference variable pointing to collection final and creating a read-only or immutable collection. 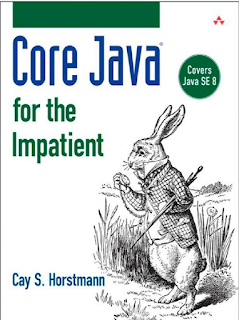 See Core Java for the Impatient to learn more about this point. 5) When the static keyword is used with final modifier then the variable becomes a compile time constant. This means the value of the static final variable is copied to wherever it gets referred. This can create an issue if you don't understand the concept completely because if that variable is shared across multiple JARs then just updating its value in one JAR will not be sufficient, other JARs will still have old value. It's very important to compile the whole project whenever you change the value of a public static final constant in Java. See how the public static final variable works in Java to learn more about this concept. 6) A non-static final variable can also be a blank final variable if it's not initialized in the same line it has declared. Java allows a blank final variable but you must initialize that in all constructor. If you forget to initialize a blank final variable in all the constructors, the compiler will throw an error. 8) Along with lambda expression, streams and a couple of other changes, Java 8 has introduced a new concept called effectively final variable, which allows a non-final variable to be accessed inside an inner class or lambda expression. Earlier, you cannot access a non-final local variable inside an inner or anonymous class but from Java 8 onwards you can provide it's effectively final i.e. it's value has not changed after assignment. Please read a good Java 8 book e.g. 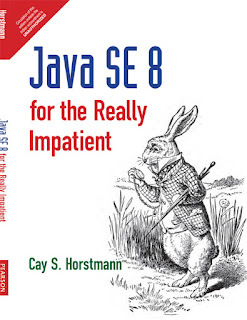 Java SE 8 for the Impatient by Cay S. Horstmann to learn more about the effectively final variable. The book explains all the important enhancements which matter in a crisp and clear way. 9) When you make a class final than all its method effectively become final because a final class cannot be extended and without inheritance, you cannot override them. Some programmers argue that how about overriding final methods in the inner class, well that's not true because even an inner class cannot extend a final class. You can read more about this concept in a good core Java book e.g. Head First Java 2nd Edition. It's one of the important concepts from the interview perspective. 10) Last but not the least, final modifier can be used with both member variable and local variables declared inside a method or local code block. Earlier only final local variables can be accessed inside anonymous inner classes or local classes, but from Java 8 onwards even effectively final variable can be accessed as discussed above. That's all about final modifier in Java. It's truly special, as you can apply final modifier with variables, methods, and classes and it provides a unique feature to them. Remember, if you make a reference variable final, you cannot assign it to a new reference. If you make a method final then you cannot override it and if you make a class final then you cannot extend it. Every point you mentioned are very crisp and clear. One can easily get what you want to deliver to them. Thank you Akshay and mulali, glad that you find the article useful.